On Wednesday we’ll hear from Suspense Sister Mary Ellis. 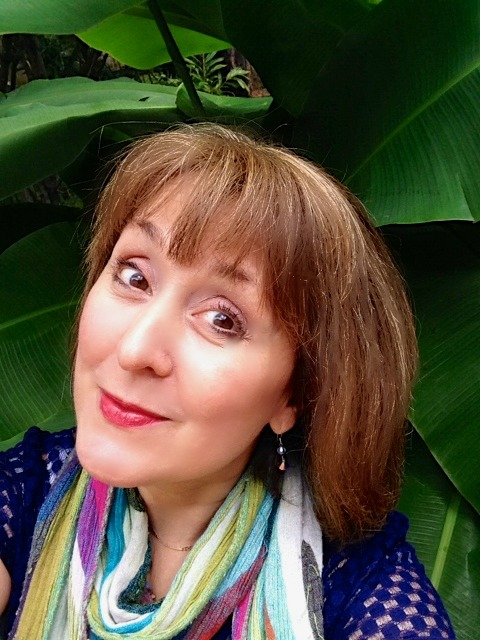 She talks about time management for authors. (Boy, do I need this one!) 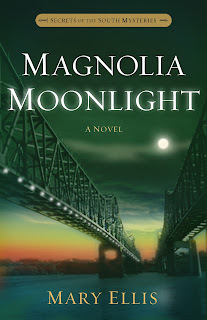 She’s giving away a copy of her latest novel, MAGNOLIA MOONLIGHT! 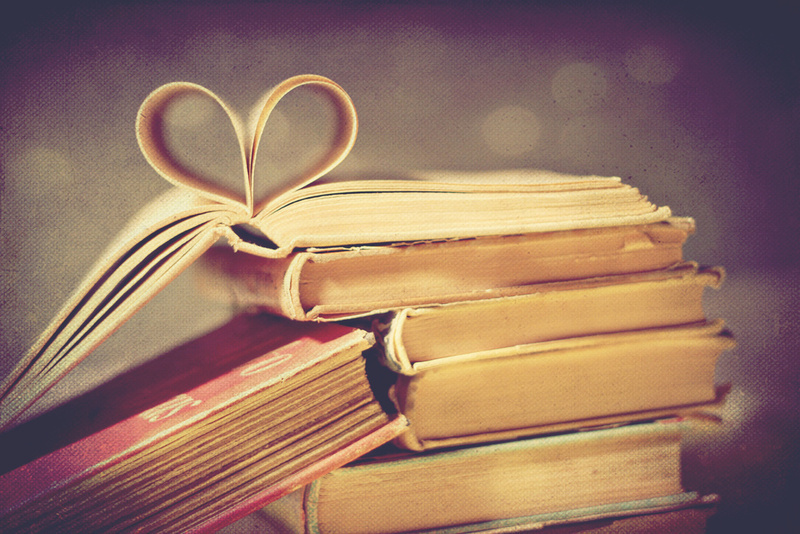 Let's find out about you, dear reader! A little fun and a giveaway! 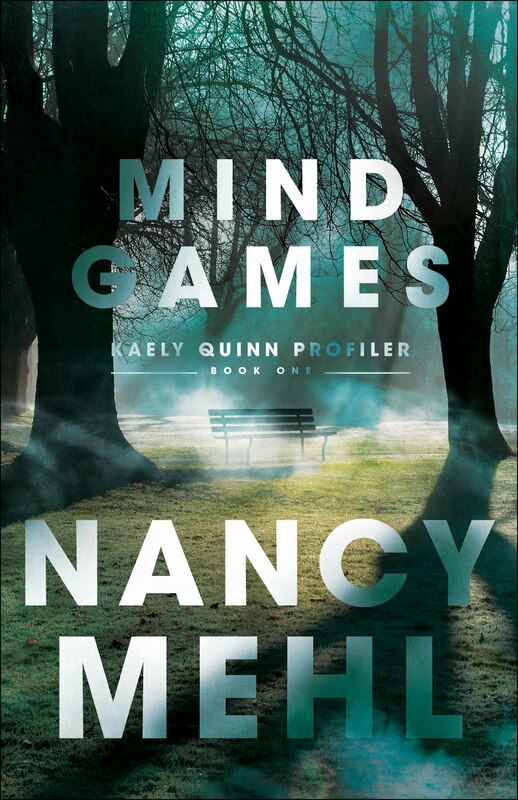 Well hello, suspense lovers! 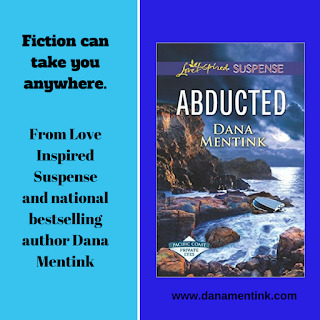 Dana Mentink here and I'd like to share a bit about my latest release, Abducted. I thought it would be cool to do a kind of 'reader survey' format so we can find out more about your experiences, too. In order to make it extra fun, I'm giving away a print copy (U.S. only) or a digital copy of Abducted. Post a comment to be entered! Ready? Here goes. 1. 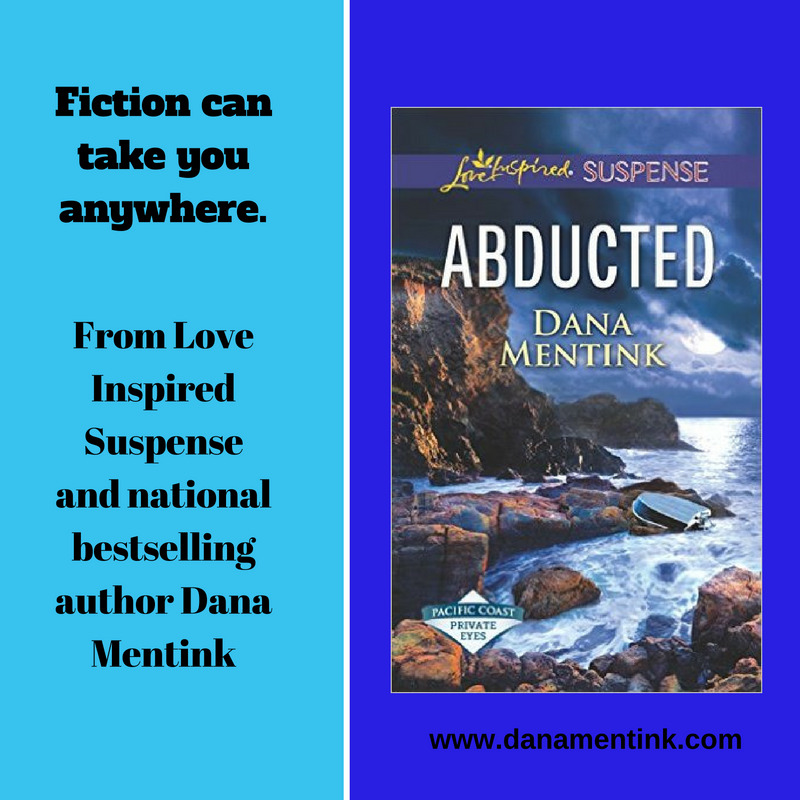 Abducted takes place largely on a fictional island set here in California's Channel Islands. Have you ever visited an island? Which one? 2. Heroine and missionary nurse Sarah Gallagher speaks both Spanish and English. Do you speak more than one language? 3. Hero Dominic Jett is disillusioned since the loss of his Navy career. He works as a dive master on a boat in Tijuana. Have you ever been scuba diving or snorkeling? Did you enjoy the experience? 4. 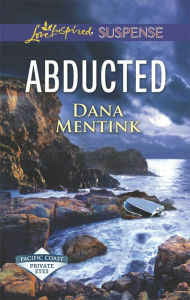 Abducted is the third book in the Pacific Coast Investigation series featuring the four Gallagher sisters. So you prefer to read series books or standalones? 5. Sarah has three sisters with whom she is very close. Do you have a sibling you are very close to? Thanks for sharing a little about your life! Here's a link if you want to subscribe my You Tube channel where I talk a bit about my books and do a monthly prize giveaway. Thanks for hanging out with me today! There’s a wonderful line in The Muppet Movie. The Muppets have come to the big city looking for fame and fortune, and they encounter Orson Wells, who plays a big-time producer. At the end of the scene, he tells his secretary to prepare the “standard rich and famous contract.” I guess that’s the kind of contract an author dreams about, but so far as I can tell, it only exists in the movies. My first novel was published years later. I’ll never forget the thrill of opening that box and seeing the cover with “Richard L. Mabry, MD” printed at the top. I listened carefully, but so far as I could tell, there were no cheering crowds outside my window, no marching bands in the street. I opened my Internet browser, but there was no headline about the book. What I did find, however were a bunch of emails about interviews and guest blog posts that I’d lined up to get the word out. No matter that there were no cheering crowds yet. Surely these would do the trick. Now, fast-forward a decade. That’s when I opened a carton and removed another book with my name on the cover above the title. 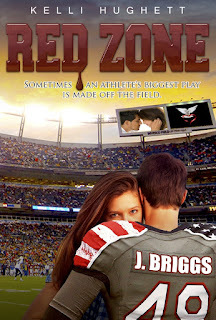 This was my tenth published novel, and by this time, reality had set in. I took a minute to thank God for having brought me this far. I showed the book to my wife, Kay, and gave her a personalized copy. I thought a bit about what I should do with the rest of the author’s copies. Then I checked the spreadsheet I create for each book to make sure I was current with the blog interviews and guest posts I’d set up. There were no cheering crowds. No marching bands passed my window. But that was okay. I was doing the task God had given me. Do I mind that I never got that “standard rich and famous contract?” Not at all. To put it in perspective, my words have been read by many more people than the population of the town where I grew up. If I’ve succeeded in my mission, when those readers turn the last page of my novel they find they’ve been left with a message—not a hard-sell of Christianity, because that’s just not my style, but rather a message that no matter how far we drift from God, we can always turn back to Him. I’ve been allowed to use the printed page as my pulpit. And that’s enough for me. What do you think a writer's goal should be? Do you picture most Christian writers as rich and famous? Chime in with your opinion. 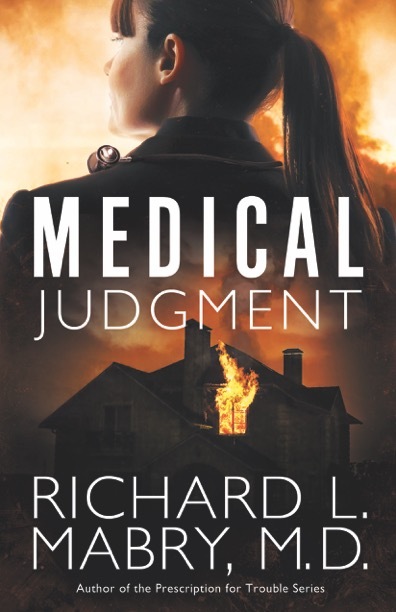 Then include your email address--one will be randomly chosen to receive a copy of Medical Judgment, my tenth published novel. (I'll choose and notify the winner on Monday). Tweet with a single click. "Are writers usually rich and famous? 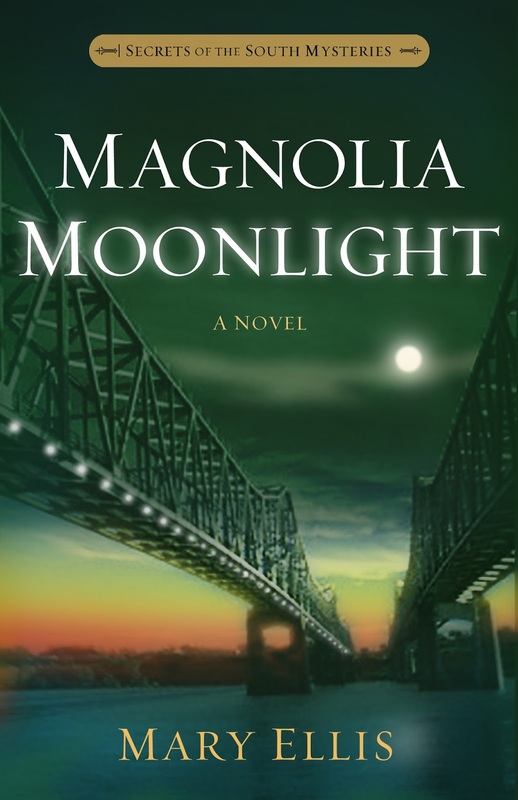 Chime in for a chance to win Dr. Richard Mabry's latest novel." Click here to tweet. 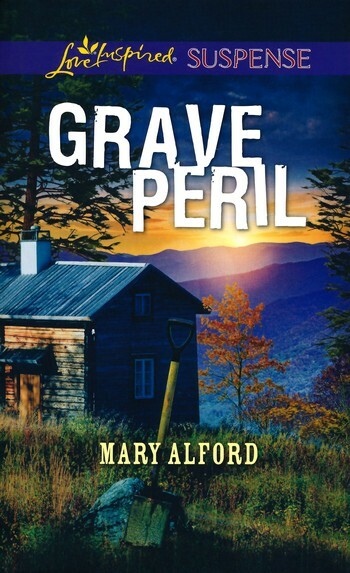 Hot new inspy suspense for October! The world of art theft can be a deadly game--one that Serena Jones understands all too well. On Wednesday we’ll hear from Suspense Mister Richard Mabry! Richard talks about Getting Rich and Famous.(Hmmmm. I can’t wait to read this, Richard!) He’s giving away a copy of his latest novel, MEDICAL JUDGMENT! Friday, we’ll be interviewing Suspense Sister Dana Mentink! Step in. Step out. Let's introduce ourselves! My name is Linda. Last name Kozar. And I write cozies, as in mysteries! This is my debut post on Suspense Sisters and I am thrilled to be a part of this stellar group of storytellers. 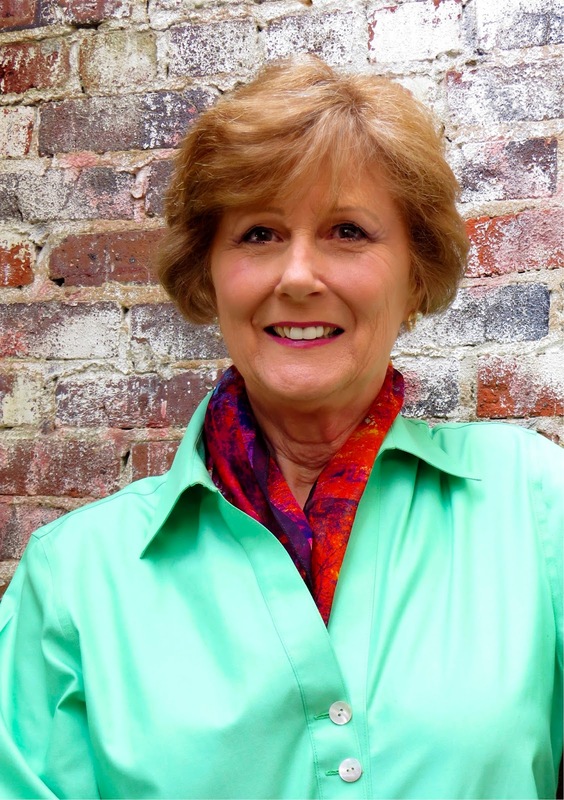 My guest today on Suspense Sisters is Patricia Bradley, who is a romantic suspense author living in the Deep South. Her short-stories have been published in Woman’s World. 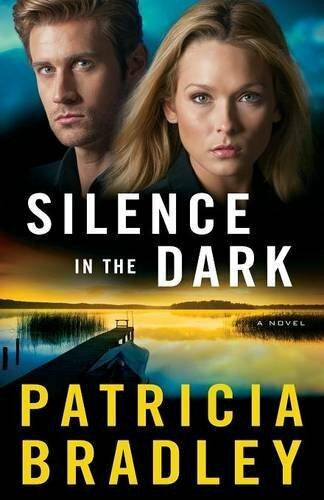 Her fourth book in the Logan Point series, Silence in the Dark, released this summer. 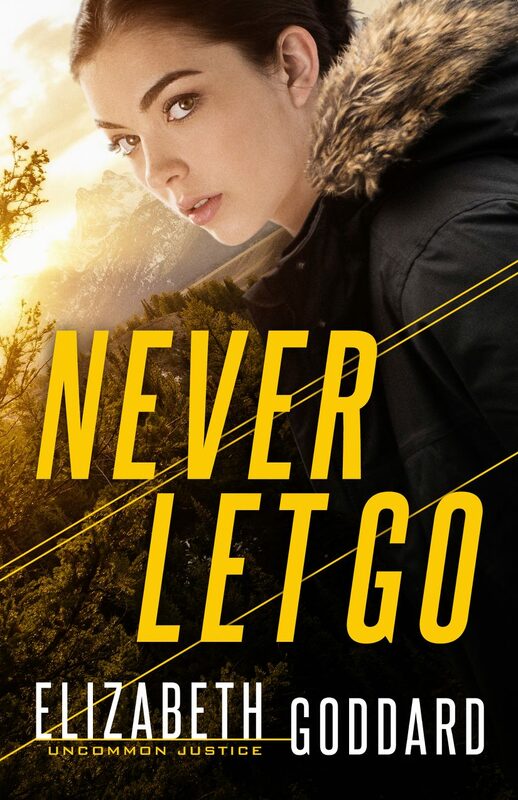 Gone Without a Trace , is book three in the Logan Point Series, and book two, A Promise to Protect. Book one in the Logan Point Series, Shadows from the Past, has won several awards…the 2008 Maggie (Inspirational Category)…1st Place in the 2012 Touched By Love and Daphne du Maurier contests…finaled in the 2012 Genesis…bronzed in the Frasier. Click here to find out more about the Logan Point Series. 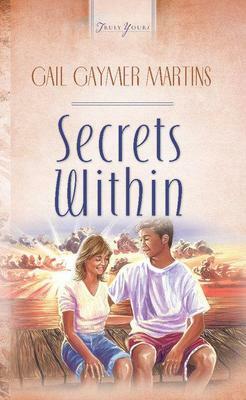 Patricia has also written several romances for Harlequin, Matthew's Choice, and The Christmas Campaign. 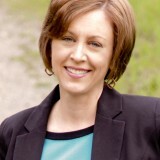 She is an abstinence/healthy relationship speaker and has spoken to many students and adults over the years. When she's not writing or speaking, Patricia likes to throw mud on a wheel and try to make something beautiful. Patricia, how did you get started as a writer? Tell us how far back you go. Oh, my goodness. When I turned 35 I had trouble sleeping. I would go to bed and toss and turn. Then one night as I stared at the ceiling, a man appeared (in my imagination) and he stood at a window with belching smoke stacks in the background. He turned and looked at me and said, “This wasn’t the way my life was supposed to turn out.” He went on to tell me a lot about his life and that’s when I wondered if I could write his story. I bought a Writers Digest magazine and started learning the craft of writing. I started out with short stories and my very first one was published by Woman’s World. I thought I had it made and would soon have a book released. Thirty-two years later, I did. I adore your tagline: "Where love and faith cross paths with murder!" How did you come up with that? And when did your love of mystery and suspense begin? I really don’t know where my tagline came from. I was doodling nouns, trying to come up with one and the words sort of just popped into my head. And my love of mystery and suspense began with Agatha Christie and then moved on to Mary Higgins Clarke. I know I must have read Nancy Drew when I was a kid, but for the life of me, I can’t remember it. 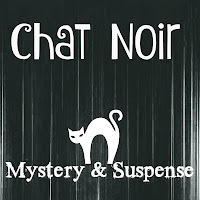 Give us a little rundown on the theme of your books and how you transitioned from romance, adding the suspense factor we at Suspense Sisters love so much. In addition to the books mentioned above, I also have a novella, The Gingerbread Pony, that was in anthology that twelve of the Heartwarming authors got together and wrote. It debuted at #81 on the USA Today Top 150 Books in October of last year. 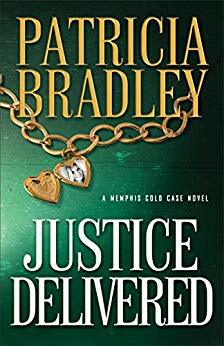 I have written all of these books since January of 2013, plus one more Memphis Cold Case book, Justice Buried. I’m starting books nine and ten. My overall theme is justice, but each of my books deal with problems we all face, like forgiveness or trust. My last Logan Point book, Silence in the Dark, deals with a missionary running from God, and the first Memphis Cold Case book, Justice Delayed, deals with a woman who has a hard time trusting God after her sister is murdered. As for transitioning from romance to suspense, it’s the other way around. The suspense comes first. The first draft is almost nothing but the suspense thread, and it’s what I love writing the most. Romance is just so hard for me to write, although it is getting easier. I never intended to write a strictly romantic book, but in late 2013, my agent, the wonderful Mary Sue Seymour, emailed me that she was meeting with the Harlequin Heartwarming editor in a couple of days and wanted me to send her a story idea and one-sheet. I took a deep breath and emailed her back that I was in Chattanooga, and if I could come up with an idea on the way home, I’d send her one. Then I prayed, asking God to give me an idea if writing for Heartwarming was in His plan for me. By the time I arrived home, I had a solid plot, the perfect small town and two great characters. 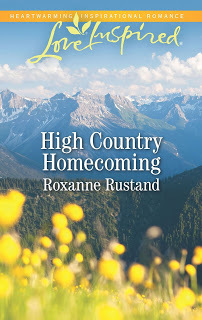 Heartwarming eventually bought the story, and that’s when I really learned how to write a romance. 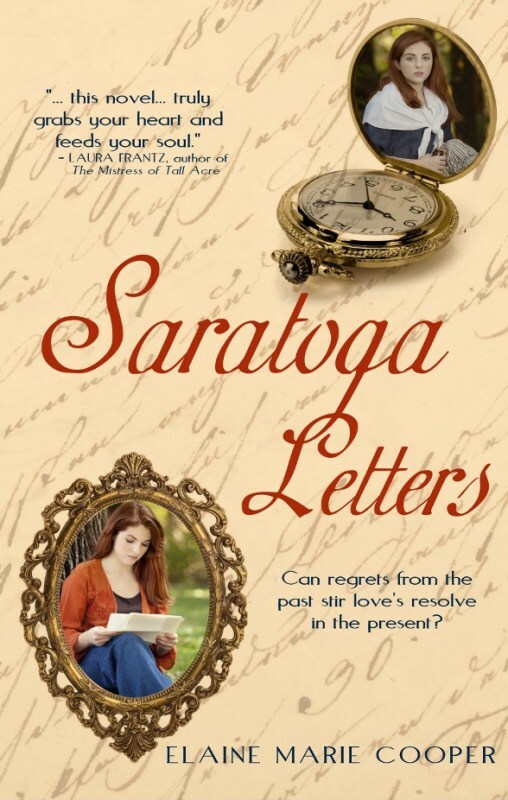 I turned in the 293-page manuscript about the time my first Logan Point book released in 2014, and Victoria Curan, the senior editor at Heartwarming then, sent the first revision letter with 269 comments with suggestions on how to fix the story. Is there a genre you would secretly like to write in but are terrified to do so? No, romance is scary enough for me. 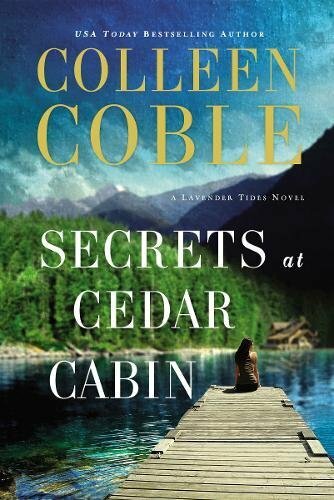 I am actually trying my hand at a cozy mystery which is different from romantic suspense. Patricia is giving away a copy of her latest book in the Logan Point series! DO YOU WANT THE CHANCE TO WIN IT? 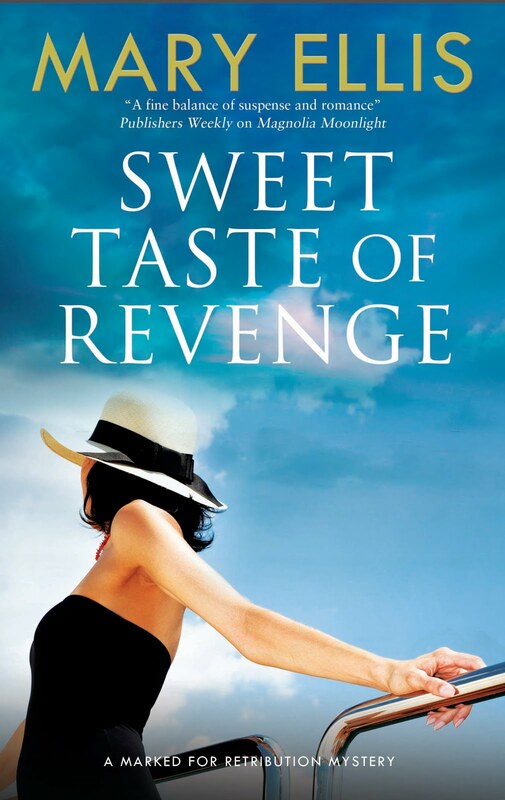 Linda Kozar writes both fiction and nonfiction titles, but is well known for her cozy mysteries. 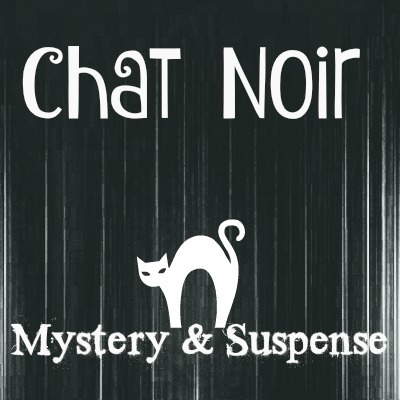 She founded and serves on the board of The Woodlands, Texas ACFW chapter, blogs regularly on Cozy Mystery Magazine and is the host of Chat Noir Mystery & Suspense Radio Show, part of the Along Came A Writer radio network on BlogTalk Radio. She and her husband live in The Woodlands, Texas and enjoy spending time with their two grown daughters, wonderful son-in-law, and Gypsy, their spunky Jack Russell terrier. Gypsy's trying to sneak onto the dinner table to make off with whatever she can on our plates.